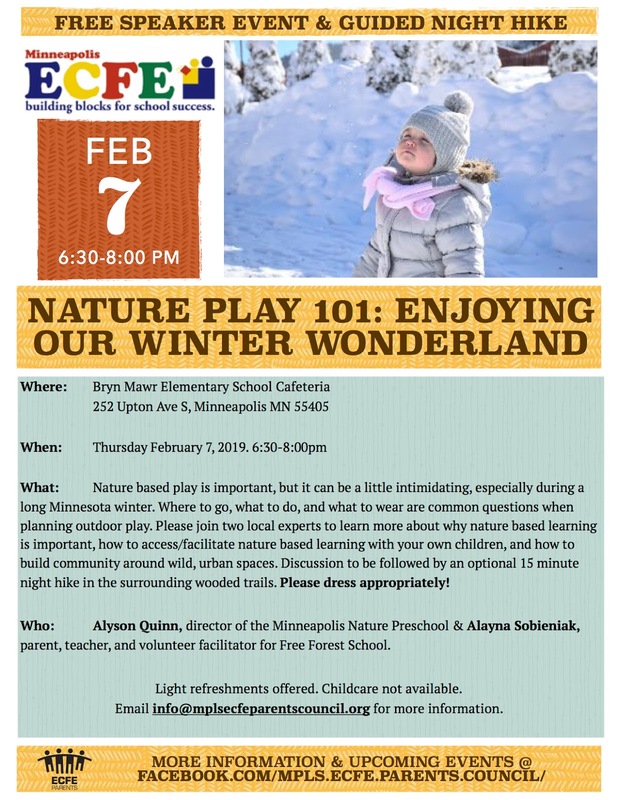 Join us on Thursday, February 7th, at 6:30pm in the Bryn Mawr Elementary School cafeteria to learn about the importance of nature based play - even in the winter! No RSVP needed, hope to see you there! Join us for a free speaker event and optional guided night hike. Nature based play for young children (and adults!) is important, but it can be a little intimidating, especially during a long Minnesota winter. Where to go, what to do, and what to wear are common questions when planning outdoor play. 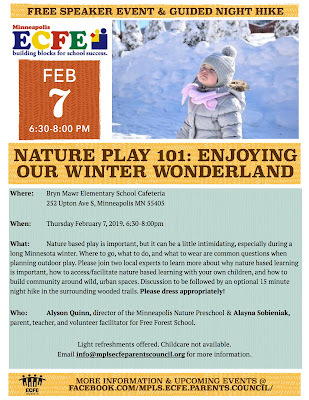 Please join two local experts to learn more about why nature based learning is important, how to access/facilitate nature based learning with your own children, and how to build community around wild, urban spaces. Discussion to be followed by an optional 15 minute night hike in the surrounding wooded trails. Please dress appropriately!